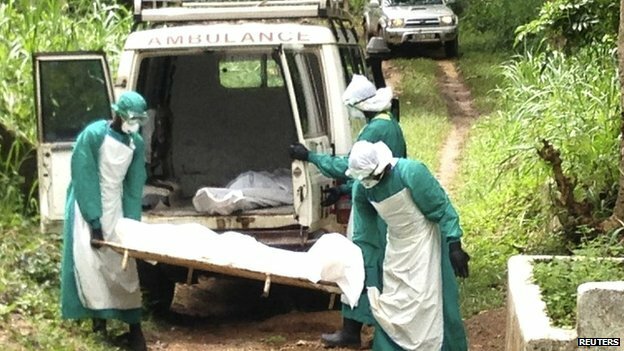 Since the first ever recorded case of Ebola in Sierra Leone six months ago, there have been persistent calls for a stop to the under-reporting of the number of people contracting and dying from the virus. The WHO and almost all of the humanitarian agencies working on the ground have complained about the under-reporting of the Ebola statistics by the ministry of health. 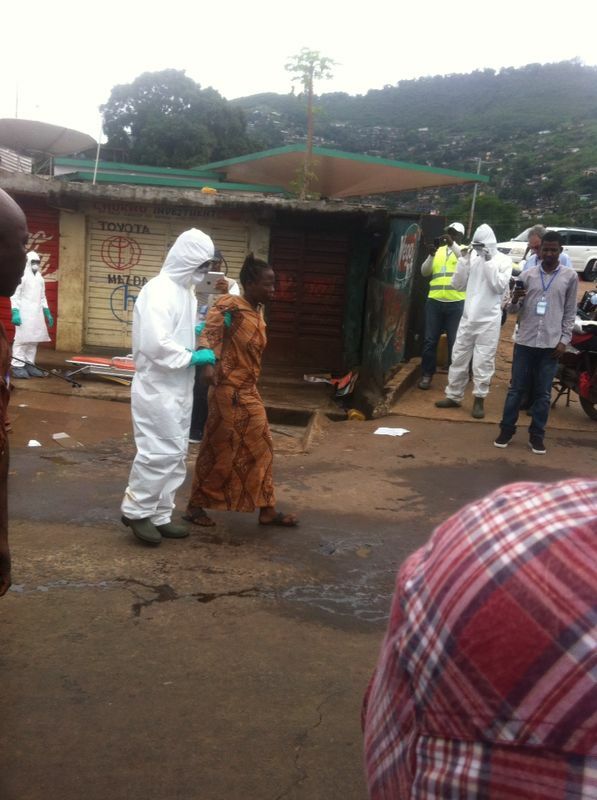 But is this a simple case of miscalculation, or a deliberate attempt to play sickening politics with the Ebola virus? 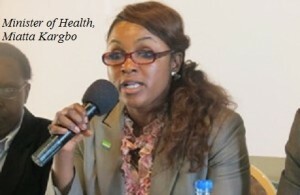 When the former minister of health – Miatta kargbo was found wanting, she had more than a rebuke. She lost her job. And questions are now being asked concerning the competence or motive of Dr. Fofanah in managing the ministry of health. But some observers believe that even before taking up the mantle of leadership after the sacking of Miatta Kargbo, there were signs that Dr. Fofanah is more of ‘an establishment boy’, rather than a professional doctor who would err on the side of objectivity and truth in managing this Ebola crisis. 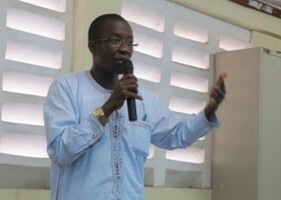 He is on record several months ago, addressing the media in Freetown – complaining that the Ebola reporting was focussing too much on those dying, and had wanted to change the communication strategy. What is now clearly evident is that, Dr, Fofanah’s methodology of Ebola analysis, reporting and presentation preference, is obviously leaning at best towards painting a less than accurate status of the virus and its impact, and at worse pushing the number of deaths down the list, especially in certain districts. At least one can also say that, during Miatta Kargbo’s leadership, there was some attempt at reporting the newly confirmed and cumulative number of deaths for each respective district. Why has this stopped? If anyone in the government should believe that by massaging the Ebola statistics, or skewing the figures, would influence the level of resources that the international community are likely to put in certain districts, then they are terribly mistaken. No one should use Ebola as a lever for more resources, nor should anyone contemplate the wish that Ebola could continue until after 2018, so that presidential and general elections can be postponed indefinitely. Although no one is accusing the ministry of health of subterfuge, however, the persistent manipulation of the Ebola figures is now getting to an embarrassing proportion, where questions are being asked about the sincerity and ethics of the reporting. Everyone is now aware that should the current rate of transmission continues and nothing is done to speed up interventions, more than 200,000 people are likely to die in Sierra Leone by April next year. Alarming, this projection may be, but the fact still remains that more has to be done in sierra Leone to avert this catastrophe. Yesterday, the ministry of health released its Ebola update, which looks more ominous than anyone would have imagined a few months ago, despite the massive under-reporting of the figures. 2416 cumulative confirmed cases (an increase of 232 in three days); 678 total cumulative confirmed deaths (an increase of 128 in three days); 477 patients have survived and discharged (an increase of 26 in three days). 81 new confirmed cases (an increase of 57 in three days) – with: Kailahun 1 (after weeks of 0 recorded new cases), Kenema 0, Kono 0 (no new cases since the 2 recorded on 30th September), Bombali 38 (after a drop to zero three days ago, following a high of 23 new cases on the 29th September). Kambia 0 (a drop from 4 recorded three days ago), Koinadugu 0 (still no cases of ebola recorded), Port Loko 8 new confirmed cases (an increase of 7 in three days), Tonkolili 0 (Still no increase since the 4 recorded on 30th September). Freetown 17 (up one, after a 50% fall three days ago – with the number of new cases in rural area Freetown shown to have fallen dramatically), Bo 10 (an increase of 6 in three days), Moyamba 6 (an increase of 4 in three days), Pujehun 1, and Bonthe 0 (no new cases since its first recorded case last week). Of the 2,416 cumulative confirmed cases: Kailahun 531 (an increase of 2 in three days), Kenema 431 428 (an increase of 3 in three days), Kono 23 19 (an increase of 4 in three days), Bombali 294 cumulative confirmed cases (an increase of 67 in three days). Kambia 21 cumulative confirmed cases (an increase of 3 in three days), Koinadugu 0, Port Loko 340 (an increase of 45 in three days), Tonkolili 86 (an increase of 8 in three days), Bo 111 cumulative confirmed new cases (an increase of 11 in three days). Bonthe 1 cumulative confirmed cases (this is inconsistent with the zero confirmed above), Moyamba 66 (an increase of 9 in three days), Pujehun 22 19 (an increase of three in three days), Freetown 490 – (an increase of 76 in three days – but significantly inconsistent with the 17 reported above – with Western Urban 290 compared to 243 reported three days ago, and Western Rural 200 compared to 169 reported three days ago). Almost all of those respective cumulative figures are significantly inconsistent with the number of new cases reported above. The ministry says that the number of probable cases stands at 37 (no change since last week), probable deaths 123 compared to 37 three days ago – an increase of 86, suspected cases 279 compared to 221 – an increase of 58 in three days, and suspected deaths 30 compared to11 three days ago – an increase of 19 in three days. But since the outbreak of Ebola six months ago, there has been no attempt by the government to explain these probable and suspected deaths, as they continue to be conveniently kept out of the Ebola statistics. This inconsistency and anomaly in the reporting of the Ebola figures by the ministry of health, makes it is difficult to track performance with confidence and reliability, if not impossible to manage the crisis. So how does the government expect to get the management of the crisis right, if the figures are not being correctly measured and reported? 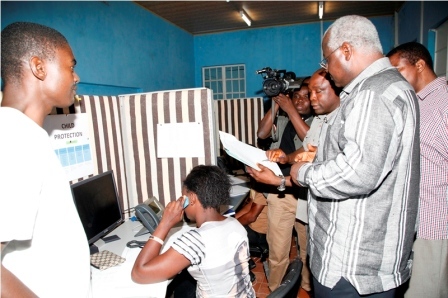 (Photo: President Koroma’s hands on management of the crisis). It is also interesting to observe how this grossly under-reported number of Ebola cases has grown in the last five months: May 25th – 0 cases; June 29th – 199 cases; July 29th – 500 cases (the day Dr. Khan died); August 29th – 1,033 cases (the day health minister Miatta Kargbo was sacked); and 5 October – 2416 confirmed cases. And the key question for president Koroma is: Has the sacking of Minister Miatta Kargbo made any difference to the management of the Ebola crisis in Sierra Leone, rather than a few cosmetic changes here and there, that are still failing to stop the spread of the virus?